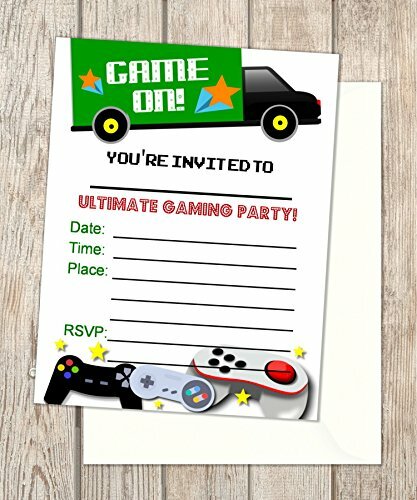 Video Game Truck Fill In Blank Invitations, Flat Cards, Set Of 20, Gaming Birthday Party Invitations With Envelopes, Flat Card Invitations, 4.25" x 5.5"
Each flat card is size 4.25" x 5.5" and comes with a white envelope. If you have any questions about this product by DPI Expressions, contact us by completing and submitting the form below. If you are looking for a specif part number, please include it with your message.